Kathleen Mitcheom M.S.N.,C.N.M. R.Y.T. graduated from the Yale School of Nursing as a Nurse-midwife in 1981. She has practiced women’s health care for thirty years at the Fair Haven Community Health Center which motivated Kate to pursue areas of integrative medicine including Mindfulness-Based Stress Reduction and Mindfulness-Based Cognitive Therapy. Kate has been practicing meditation since 1991 and teaching meditation since 1995 after training at Omega with Jon Kabat-Zinn, PhD. and Saki Santorelli.In 1996 she founded the Mindfulness-based Stress Reduction Program (MBSR) at the Fair Haven Community Health Center in New Haven, CT, where she taught meditation to pregnant women and their partners in the inner-city and offered MBSR for patients with chronic and life-threatening illnesses. In 1997 she was part of the first Teacher Development Intensive at Omega and began teaching for the Center for Mindfulness in 2012 where she is a faculty member. Kate has also taught mindfulness to high school level students, offers consulting, conference presentations and staff development training for hospitals, health centers, schools and universities throughout Connecticut and New England.She is a Registered Yoga teacher in the Anusara style and completed and was certified as an Energy Medicine Practicioner after four years of study at the Institute for Healing Arts and Sciences. 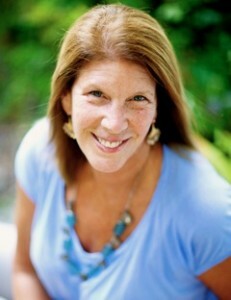 Kate lives in Branford, CT where she and her husband of over thirty years raised their three children. Teacher Development Intensive for Advanced Mindfulness Instructors, sponsored by the Center for Mindfulness in Medicine, Health Care and Society. University of Massachusetts Medical Center. Spring 1997. 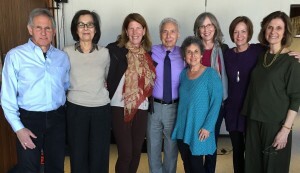 Mindfulness-Based Stress Reduction Training for Health Care Professionals, Omega Institute for Holistic Studies, Rhinebeck New York. Instructors: Jon Kabat-Zinn, Ph.D. and Saki Santorelli, Ed.D. June 1995. Yale University School of Nursing, New Haven, CT. M.S.N. , Maternal Newborn Nursing/Nurse-midwifery conferred May 1981. Certified Nurse Midwife, Fair Haven Community Health Center, New Haven, CT. July 1981-Present. Full scope midwifery services with deliveries at Yale New Haven Hospital and the Hospital of St. Raphael. Registered nurse in critical care, coronary care, and hemodialysis. Oakland Naval Regional Medical Center September 1973- January 1976. Instructor, Fairfield University School of Nursing, Fairfield, CT. 1997-1998 Lectures to masters level nursing students on the applications of mindfulness- based stress reduction in clinical practice. Mindfulness-based Stress Reduction for Teen Mothers, Wilbur Cross High School, School Based Health Center, New Haven, CT. 1996-1998. Chapter Chair, American College of Nurse Midwives, Region 2. 1982 – 1984.